For some of us that means we can put down the glitter and relax a bit and for others it means we need to make a frantic trip to the mall (*shutter*). I’m option two, with more than half my list to shop for and only 1.5 days left to do it, I need all the help I can get! One of my favourite things to buy for people is anything wine or food related, as a mild connoisseur myself it makes it easy and who doesn’t love a delicious bottle of wine with their favourite food/snack for Christmas!? Do you have any wine and food lovers on your list? If so here’s where you can find great last minute gift ideas, right here in London, or from the comfort of home. Treat their taste buds to an evening at the London Wine & Food Show, purchase the tickets online print them off and bam you’re done! Pricing starts at $15 + HST & service fees. Buy tickets here. Charcuterie has become a trend that is here to stay. There is no better way to display wonderful meats, cheeses, spreads and more than on a locally made wooden charcuterie board. Each board from Once Upon a Tree is unique with live edges and available in walnut or cherry. Give the gift of Christmas in a glass. 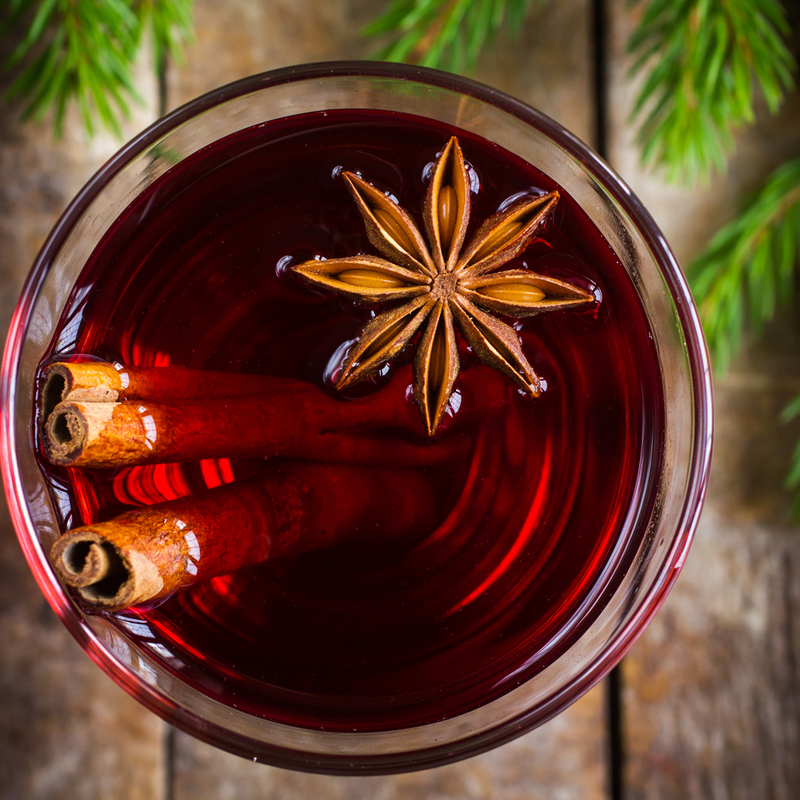 Mulled Wine is a lovely celebration of those traditional festive spices like cloves, cinnamon and nutmeg. Packaged the spices in cute baggies or jars from the Dollarstore, print out the recipe and pile everything else into a basket with a bottle of red wine. There’s nothing better than gifting something you know he or she will love, for example a great bottle of pinot grigio and pistachios would make a fabulous gift for me (hint hint). Here’s a great list of local wines. This Italian holiday sweet bread makes a great gift. Offered in a variety of flavours including chocolate and pistachio, pannetone will quickly become part of your holiday gift giving tradition.